Kesari is an upcoming 2019 Indian Hindi language action war-drama film directed by Anurag Singh. The big budget movie stars Akshay Kumar andParineeti Chopra in the lead roles. Kesari movie is based on the Battle Of Saragrahi. 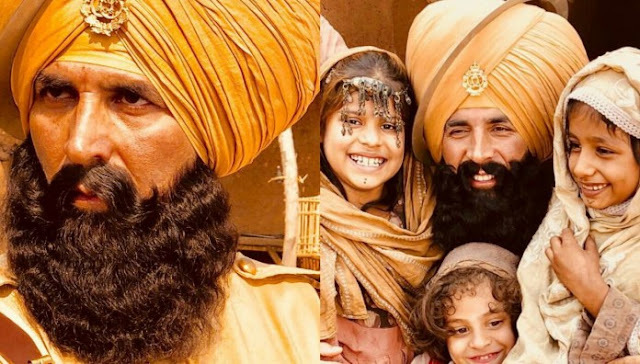 Kesari Akshay Kumar movie story is based on theBattle Of Saragrahi in which an army of 21 Sikhs fought against 10,000 Afghans in 1897. Akshay Kumar will be portraying the role of Havildar Ishar Singh in the movie who was the commander of those 21 Sikhs Army. Akshay Kumar has taken a special training of Sword Fighting and Horse Riding to do full justice with his role. Kesari movie budget is around Rs 50-60 crore (excluding Akshay Kumar fees). The movie is mostly shot on original locations. Kesari movie is scheduled to release on March 22nd 2019 to cash in the Holi weekend. The regular shooting of the movie commenced in January which will last long till July this year.